The mission of Tanya’s Wellness Farm and Spa, Inc. is to create a community –based retreat for both the mind and body. We aim to help those struggling with anxiety, depression, alopecia, cancer treatments and other mind-body ailments. Anxiety disorders are the most common mental illness in the United States. According to the Anxiety and Depression Association of America (ADAA), 40 million Americans over the age of 18 are affected by anxiety — roughly 18 percent of the nation’s population. Of those 40 million people, almost 7 million of them suffer from GAD, with 15 million suffering from social anxiety disorder, 14.8 million suffering from major depressive disorder, and 7.7 million affected by post-traumatic stress disorder. Talk therapy (psychotherapy), Coping strategies, Medication and Alternative therapies such as, equine therapy/coaching, yoga, meditation and acupuncture. The farm spa environment makes it an easier place to come to. It has no stigma or pressure associated with it. This makes it easier for people to seek help. It is very important to get out doors and away from the hectic lives we lead. Horses mirror us, thus reflecting back everything we need to see about ourselves. Sometimes the mirror shines on our success, greatness, joy, and happiness, and other times it exposes the darkness and our shadow. This is how we can face and work through our darkness. 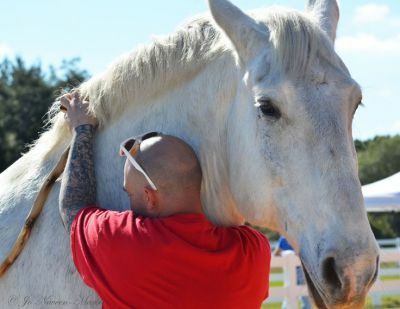 Just being in the presence of a horse is healing for most people. 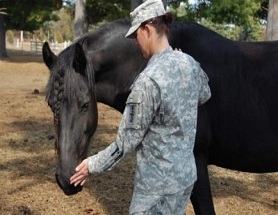 Equine Assisted Coaching allows vets to successfully transition into civilian life. ‘Breakthroughs’ occur more easily and organically than traditional coaching methods as horses do not judge people…and they have no agenda. They are large, strong animals, but they are also prey animals and therefore trust with a horse must be earned; they are brutally honest, mirroring our body language and acting accordingly. After surgery breast cancer survivors develop neck and shoulder impingement. Neck and shoulder impingement can cause shooting pain down the arm and lead to another surgery. Impingement syndromes start with achiness in the neck and shoulders. Myofascial release is a type of medical massage that is NOT painful. Focus is placed on gently releasing tension along thickenings of fascia and scar tissue. Releasing this tension restores posture and alignment. It also relieves knots and painful areas in all parts of the body. 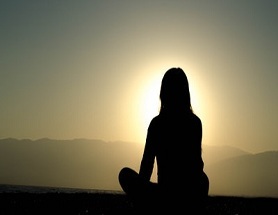 Mindfulness-based approaches are most commonly delivered through the use of mindfulness meditation, though mindfulness may be achieved through a variety of techniques. During mindfulness meditation, the practitioner will typically guide the person or people in therapy to direct their focus on the present moment. The participants are trained to zone in on a particular phenomenon. If the participants become aware that their thoughts are drifting away from the present, they are encouraged to take notice of where they are and what they are doing before bringing their attention back to the present moment, without reacting or judging themselves. Recover With Confidence. Cancer and Alopecia patients experience great emotional pain from the extreme change in their appearance. 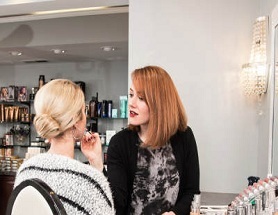 Losing their hair can significantly harm their self-image and self-esteem. 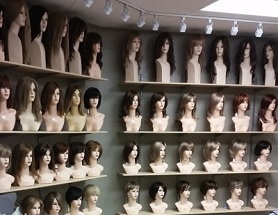 We want to provide the perfect wig to help build their self-esteem. Those suffering from Alopecia or going through Chemotherapy can loose their eye lashes and eyebrows. They need to learn how to apply lashes, brows and how to apply their makup. Helping others has a dual benefit. 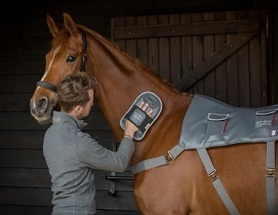 Not only does it provide support to those on the receiving end, it makes you, the helper, feel better too. The benefits of altruism -- along with its sister behaviors empathy and compassion -- are well documented but not necessarily well understood. Your donation powers our mission and advocacy to help others. The mission of Tanya’s Wellness Farm and Spa, Inc. is to create a community –based retreat for both the mind and body. We aim to help those struggling with cancer treatments, anxiety, depression, alopecia, and other mind-body ailments.